No, not unless she wants to be admitted into the local asylum, besides they're kinda private. No, absolutely not. No why settle for less bay, the only reason that she should ever settle is if she finds out edward's dead, if not keep on fighting. Yes i think he deserves a whole lot better. I don't kniw, send him a box of chocolates. but it sisn't in the way that bella and edward weren't torn apart by family disputes were they. Yes. I don't sometimes yes. I don't think Bella should have confided in Jacob about her hallucinations, depression. He would think she was insane, or deeply depressed, and maybe have talked to Charlie. I'm glad she didn't do that. No, I think it was a good idea she didn't hook up with Jacob. I don't think it would give her happiness, she would just feel incomplete and not totally happy all the time with Jacob because she still has most of her heart reserved for Edward. I think they're better off as friends. I don't really think there was anything Bella could do for Jacob to make it up to him for saving her life physically and emotionally. The only thing I think would be to give Jacob Bella's love, which of course, wouldn't really work out. It is similar to Romeo and Juliet's relationship in some places, how they're in love with each other and not supposed to be, although in Romeo and Juliet they have to hide their love. They don't have to SO much, but of course when Edward comes back they'll have to be more low key about it I guess..
No, I think it was a good idea that she didn't. And her relatonship with them is not masochistic. The Cullens would not try to do anything to hurt her, although Edward did make a mistake..
Ehh... that's a hard one. I would have to say Bella and Edward's, though, just because they love each other so much, so completely. Although, Jacob and Bella have a very good friendship, it's not the same as Edward and Bella's. Both relationships are 'healthy' (Bella needs each one to survive). 1. Should Bella confide in Jacob about Edward, her hallucinations, and her depression? If she truly loved Jake and wanted to be with him, then yes, she should tell him everything. She should be honest with him, he deserved that much. 2. Would it be settling for Bella to hook up with Jacob? Should Bella try to find happiness with Jacob even if she can only give him part of her heart? YES, Bella would be settling. Edward is her true love; if she thought that Edward didn't love her anymore, then she should have taken the time to heal without someone else to lean on. This is really the only thing I don't like about NM; Bella went from one guy to the other; she never healed, just "patched" her hole with Jake. She never made the effort to heal by herself, she kept running to Jake. I'm all for their friendship, but I didn't like how she depended on him so much to make her happy; happiness comes from within! 3. What about Jacob? He loves Bella despite her strictly platonic feelings towards him, but should he wait out for someone who loves him as much as he loves Bella? Yes, I believe so. It's not fair to either party if you can't put your entire self, body, soul, and spirit into a relationship. 4. How do we factor in the fact that Bella now owes Jacob her life both physically and emotionally? They will forever be connected. 5. Is Romeo and Juliet's relationship similar to Edward and Bella's? How is it and how does it differ? They were from totally different lifestyles, opposite ends of the spectrum; they each didn't want to live if the other one didn't exist. 6. Should Bella have chosen to investigate Carlisle's car? Is her relationship with the Cullens masochistic? I didn't see the need for Bella to check the car- she knew whose it was. I just looked up 'masochistic,' and I SERIOUSLY DOUBT that Bella took pleasure from being dominated or mistreated by them... when did they ever try to dominate or mistreat her? So, my answer is no. 7. How does Bella and Jacob's relationship compare with Bella and Edward's? Which one is "healthier"?Edward and Bella are meant to be together; they have true love. Jake and Bella could never have that, because she is still holding onto Edward. Well, I believe that in order for two people to be in a "healthy" relationship, they must each give their whole self to it. In that sense, neither of the relationships is "healthy." Edward refuses to turn Bella (at this point), therefore they can never "be together" as a true couple, because he won't allow himself to hurt Bella physically... Edward can't give his whole self to the relationship, because of what he is. Bella can't give her whole self to Jake either, even though she depends on him to make her happy and lift her out of her depression. She never took the time to heal as a person and find her own happiness; she was dependent on an outside source for that happiness. Odd as it may sound, I think that Jake was the only one of the three that could give himself completely. He loved Bella, knowing full well that she couldn't reciprocate those feelings. I think she should. Jacob seems to be the best friend type guy that some people want the main character, Bella, to be with. He loves Bella, as a friend and in a romantic way. He really listens to her, but I do think hearing these things would have hurt him a lot. He truly loves her, and to learn that she has basically been thinking about Edward every second she was with him would definetely hurt him. I honestly cant decide. Bella and Jacob, are so perfect for eachother, but so are Edward and Bella. I love both couples equally now, but I havent read the whole series yet. I think Bella does love Edward more, so hooking up with Jacob could definetly mess things up for her and Edward. She seems to be confused. 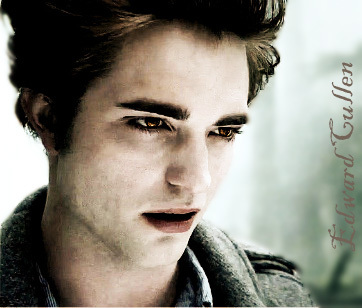 Originally, she had planned for Jacob to heal the whole in her heart Edward left, but he made his own hole. She loves both of them so much, but her love for Edward seems to overpower any other feelings she has. Once again, I'm not sure. Jacob loves Bella, it seems more than anything. He wants to be with her, but like Edward, he may be afraid of hurting her. I think Jacob should find someone who does return his very strong feelings. He needs to be with someone who will love only him, and not have another person in the back of their head all the time. Yes, Bella does owe Jacob her life. But she owes Edward her life too. Just because she owes him her life does not mean she has to give up Edward for that. She should get to decide, because if she was pressured into being with him because of that their relationship wouldn't be very honest, it would be based entirely upon Bella owing him her life. NO. Romeo and Juliet is something that people often compare their relationship to. Saying how in love they are, but I dont think that Romeo and Juliet is very romantic. You cant fall in love with someone in a day or two, its just not possible. Romeo and Juliet liked each other, but they werent in love. Comparing Romeo and Juliet to Edward and Bella is insulting in my opinion. Edward and Bella have a reason to be in love, Romeo and Juliet don't. I think she should have. It is obvious that Victoria will go to any means to kill Bella, including somehow stealing Carlisles car. She acted on a whim, but I think she did it because she was so excited at the thought that one of the Cullens were there to see her. The healthier one is Jacob and Bellas, definetely. Their relationship is more concrete in my opinion. They are best friends, whilst Bella is completely in love with Edward and cant live without him. Bella and Jacob made the friendship connection first, which is why their relationship is more concrete. Bella and Edward I do think belong together, just because of everything they've been through. This is literally the first time I have read a book, or even seen a movie or show, where I saw two people that were perfect for another person. I love Jacob and Edward so much, but it just seems, in a sense, that Jacob is more, trustworthy, in some way. But so is Edward. SEE, I'M CONFLICTED!! Hmm, theoretically, I think that if she decided that she wanted to be with Jacob, then yes, she shouod confide in him about those things. I think even as friends its good for her to confide some things with with, like in the last chapter, when she talked about it a little bit, though very painful, I thought it was good. But if she is going to only be friends with him, then I don't see the need as much for her to fully confide in him because it may cause him a lot pain/suffering, which may not be necessary, that it a hard position for Bella to be in. I feel so bad for Jacob because you can really see how much he loves Bella, even though he hasn't come around and said yet. I know Jacob does not consider his own feelings superficial but I would like to see Jacob with someone who can devote themself to him and much as he can. This belief was only influenced later on when I read about imprinting. Bella is not the right person for Jacob like Emily is for Sam. I think there is part of him that knows that even though he wishes that it weren't true. I think it just makes it absolutely understandable the feelings she is having about their relationship toward the end of the chapter. He is her safe haven, she cannot think of her life any longer without him in it, though she is still very aware that her feelings for him are no where near similar to what they were for Edward, I think she also wishes that she could love Jacob in a non platonic way, it would be easier for her. Even though Jacob has been soooo amazingly wonderful to her, I don't think it would be right for Bella to think that she should get into a relationship because of that. I think the events bolster her positive feelings about him and maybe quiet her feelings about Edward, but the Edward ones will always be there, and they will come and go with varying degrees of strongness for the rest of her life. its similar in the obvious way, with the star-crossed lovers thing. I think it is also similar in the amount of deep love, passion, devotion that is so very absolute for both couples. Edward didn't really have anyone else try to tempt him, at least not while Bella was around. Its different in the fact that they are seperated. I think its also very similar in the way that Bella describes Juliet if Romeo had left her, the love the two couples share has a startling degree of permanence. My memory on Romen and Juliet is pretty scant, so that's all I can come up with. Hmm, I guess I thought that if there was a trap it might be in the car. And Bella was so sure that it was Carlisle's car that I was very sure it was Carlisle's car. I had no idea who was in the house, but there is no way that I would have been able to leave like Jacob suggested. I would have had to know in some way or another, and I think Bella would rather find out for herself then have Jacob or one of the other pack members do the investigating. I think her relationship with the Cullen's can be masochistic at times. I didn't think her relationship with Edward was as masochistic as things that she puts herself through after he leaves. The delusions and all that is something that seems pretty painful to me. It is also masochistic to investigate who is in the house, she is trying not to get her hope up, but she is anyways. But for Bella, I don't really see any other option that the one she chose. Jacob and Bella's relationship was founded in friendship first, which is different than Edward and Bella. Edward and Bella's relationship was founded in crazy attraction that was intensely strong for both of them, then love developed very strongly and suddenly from that. The love with Jacob, at least for Bella, was a little more gradual. It took Bella a little while to realize how important Jacob was in her life. I think if we are talking strictly things that could happen, then Edward seems to be more dangerous for Bella because of the whole vampire, Victoria, James, Laurent, Volturi thing. I don't think Bella is in much danger when she is with Jacob, especially from outside forces, and for some reason I was never that concerned about him losing control when he was around her. I think for her heart, obviously, Edward is healthier for her, because that is what her heart truly desires. I'm such a sap! I think that she should. He might be able to help her out. Make her feel better. I think it would be fine if Bella hooked up with Jacob. She needs to be happy. And she knows she can be happy with Jacob, even if she can only give him a little bit of his heart. Just like I said before with Bella. He needs to be happy. Which Bella makes im happy, even if she doesnt love him like he loves her. It is kind of similar to their relationship. They both love each other so much, and would do anything that they could to be with each other. I know if Bella were to die, Edward would try to too. He cant live without her. Their families can deal with the fact that they want to be with each other. She didnt really need to investigate the car. She knows that car well. With Bella and Jacobs she doesnt really have to be careful all of the time. She can be around Jacob without tempting him to kill her. With hers and Edwards she has to worry. And she needs to be careful. I think that Jacob is actually healthier for her. yes i think so. jacob only has the most honest interests in her. he wants the best for her - no matter if she still is in love with another guy. everybody would do the same to save a friend's life. nothing more nothing less. oh geez, yessss! i think it's kinda similar. bella is human and edward is immortal. how more complicated can a lovestory be? though bella wants to become one of them, edward is not able to let his feelings rule and change her - he wants to 'save her soul'. wouldn't it be for her human death someday, a really truly thought. it's hardly possible for them to stay together for the rest of bella's life, if she gets older and weaker and edward stays the same 17-year-old teen... uuuuh, how hopeless that sounds. no i don't think of bella being masochistic because of her bond with the Cullens. i think she feels deeply connected to them, not only edward. she doesn't care if anyone is a vampire or a werewolve as long as they are inside her heart. healthier.... ha, none of them is really healthy for her in particular. but if you look at it from her view: she loves edward so much, it broke her when he left. she didn't feel whole again, until he was with her again - not even in the meanwhile spending her time with jake. team edward !!! Yes...and no. Only if she is really commited to Jacob. But Jacob is really intuitive on this stuff and picked up on her depression quickly. I wouldn't tell Jacob about the hallucinations if I were her, I would consider those private. I think it's right for him to love Bella that way, and not give up. If I felt that way about a certain person, it would be natural to keep trying. Though, I think Jacob should leave a slot open for someone else because he could possibly find someone else that he likes even more than Bella. I'm sure Bella felt that way, and I think that's why some of her hesitation was there right before Jacob was "about to kiss her". She only saw him as a friend, but that's what he wanted and she owed her life to him. She also felt that Jacob could be a little more and that maybe it would make her happy, though maybe it wouldn't. Similar: They love eachother passionately. They are both young (teen) couples. The other would die if the other died. It is a somewhat forbidden romance, because Edward is a vampire. They think of one another as the only reason to live. Different: Their families have no opposition to eachother, where Romeo and Juliet's do. Romeo and Juliet fell in love in one day...where Edward and Bella took a couple months. R&J barely knew eachother, and E&B knew almost all of eachother's darkest secrets, and how to read eachother's faces. Edward and Bella are just so much better! and the story ends happily! No, she knew the car well, and Jacob smelled a vampire. I don't see how Victoria could possibly come in contact with a black Mercedes... and no, I do not believe that the relationship with the Cullens is masochistic. Sure, she gets hurt, but she gets in life threatening situations Cullens or no Cullens *cry*. Honestly? I believe that they are around the same. Edward's relationship is better on the fact that Bella and Edward are on the same page. They know all about eachother, they feel the same way, and Edward always makes her feel better. But the same goes with Jacob. Jacob is Bella's "sun", and provided light in her dark ages. In the book, Jacob describes his relationship with Bella as sun and air (healthy), where Edward's is like a drug. I guess that is true in some way...but I still believe that they are both equally as healthy. I think she should have confided in some one, but perhaps not Jacob. Just because he is so obviously in love with her at this point. I dont think it would have been fair on him. Bella knows that too, deep down. I could agree with Bella, if she thought Edward was never going to come back. It's a hard. I dont know. It doesnt always work out that way though does it?! I think in a perfect world for Jacob he should just give her time, to get over Edward and then she might have been ready to move on with him. Yes of course it is simmilar, apart form the VAMPIRES part. It could be compared to tons of fictional classic relationships out there. For example, it reminds me of Buffy and Angels relationship, apart for , for them, they could move on. In Bella and Edwards case they can not. If they cant be together, they literally will not live. So that is like Romeo and Juliet. I do not think its machochistic at all, she is a teen in love. I think we have all had a tiny taste of how Bella feels! Yes she should have investigated, of course! Neither are healthy in my opinion. Edward is not human, so thats unhealthy. Jacob loves Bella, but she doesnt love him the same way; unhealthy!